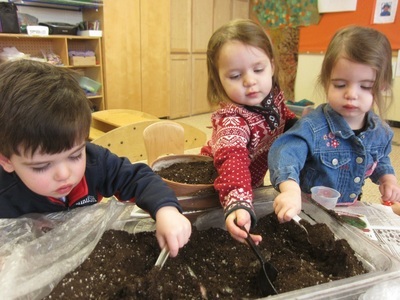 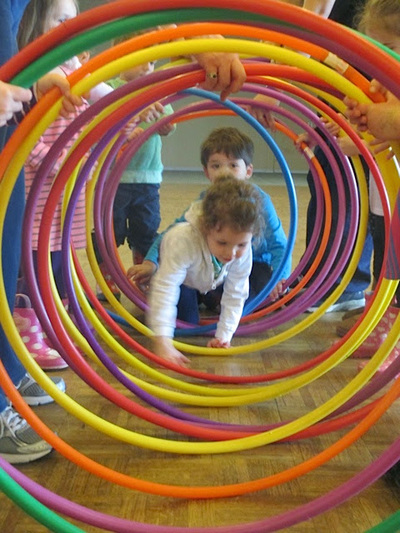 Multi-week units are planned based on the interests of the children. Recent units have included an in depth exploration of insects and the process of turning wheat from the stalk into bread. As part of these explorations, academic skills are taught within the context of children’s interests and abilities. 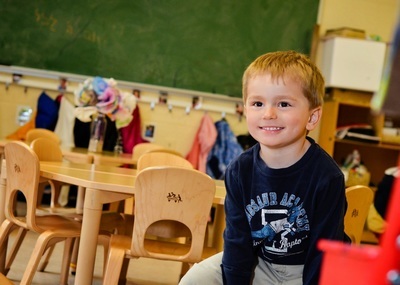 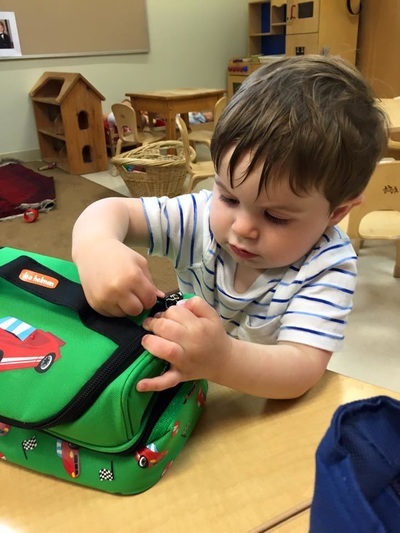 The day begins as children place their belongings into their locker and begin an activity such as painting, a puzzle, or blocks. 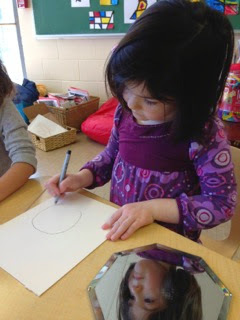 The class gathers together as a community for circle time, which incudes singing, story reading, poetry, and sharing. 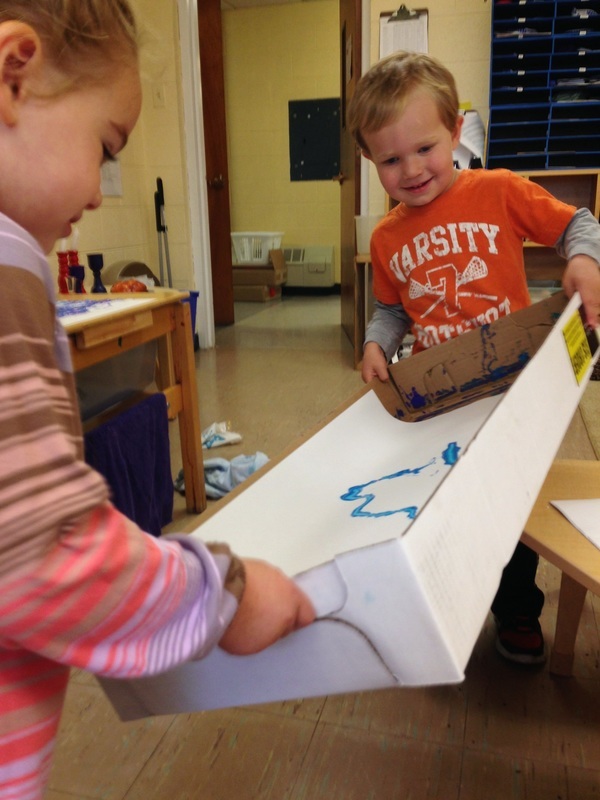 Choice time is when the core learning, play and discovery occurs. 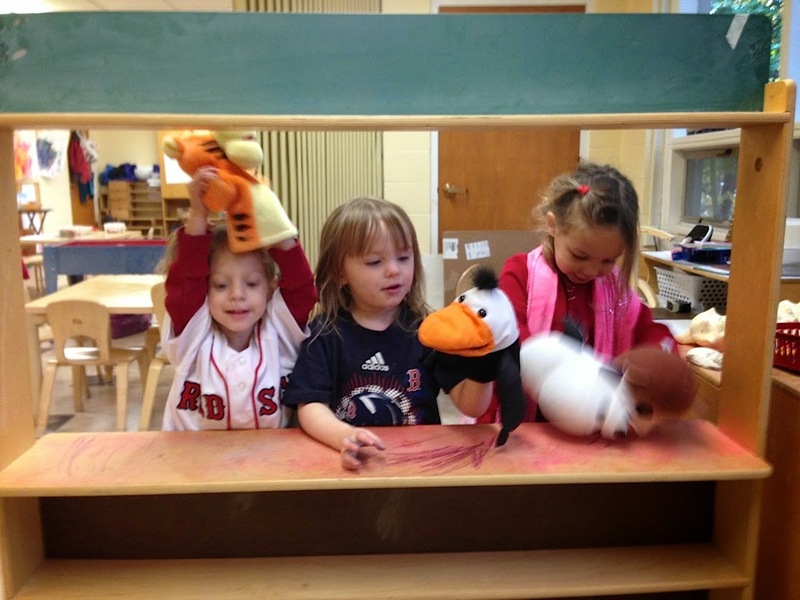 Creative thinking and problem solving are fostered through imaginative play. 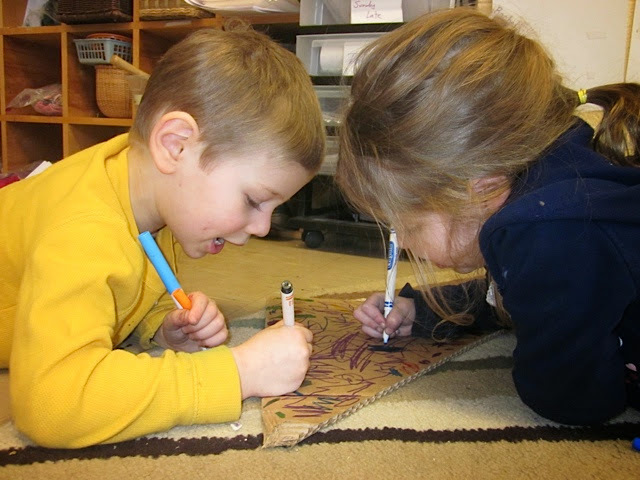 Partner work teaches children to work collaboratively with others. 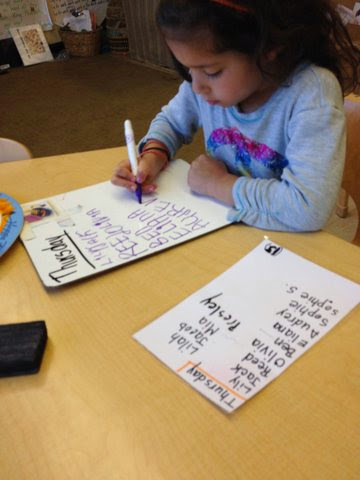 Early literacy is a core component of our curriculum where children learn to use the written word for real purposes. 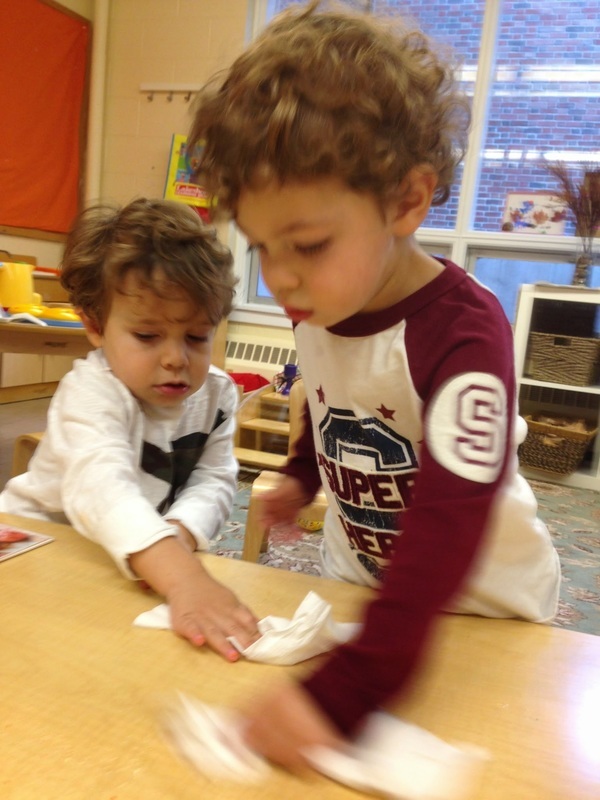 By taking responsibility for cleaning up the classroom, children learn how to take care of their environment. Our healthy mid-morning snack includes crackers, cheese, fruit, vegetables, yogurt or pretzels. 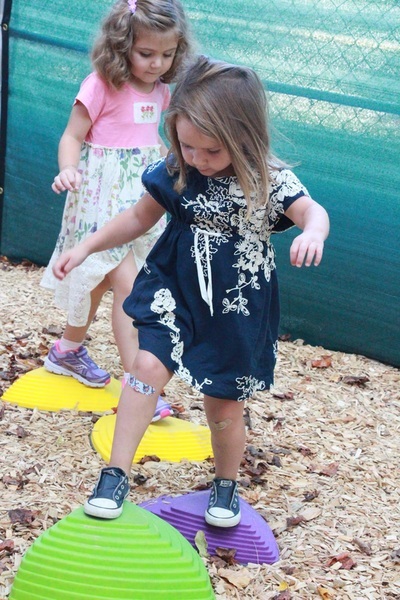 The learning extends outdoors where children have opportunities to move, create, build and collaborate. 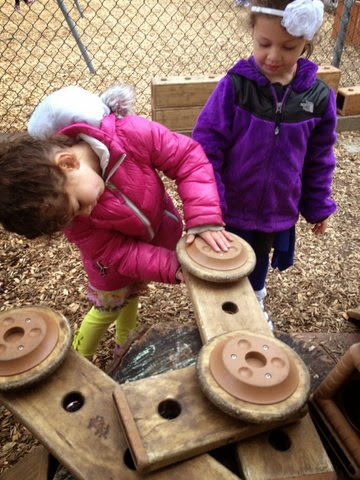 We play outside every day, except during heavy rain. During inclement weather, we set up indoor equipment in our social halls to allow for children’s gross motor movement and development. 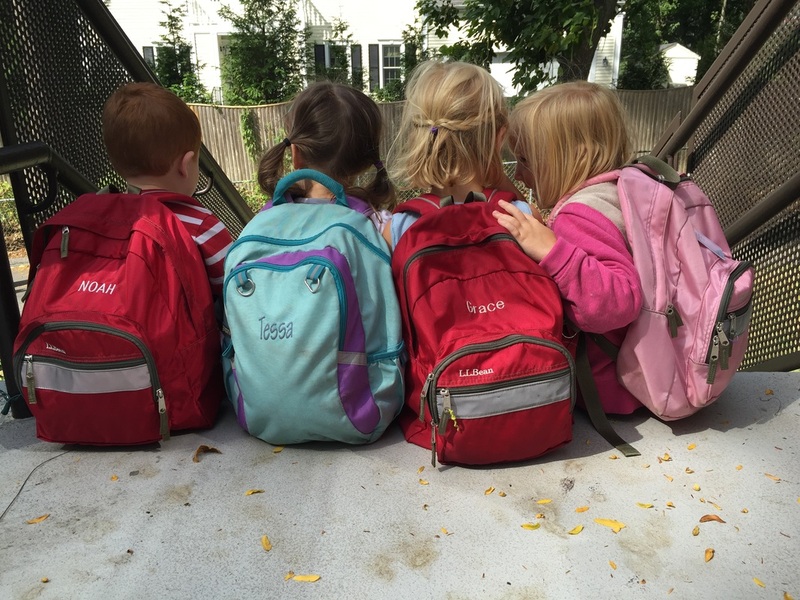 The children learn to take care of themselves by packing their own backpacks at dismissal time. 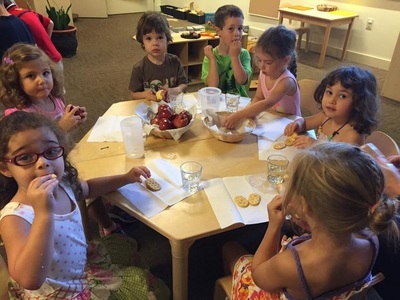 We use lunchtime as a natural opportunities to teach children self help skills and good nutritional habits. 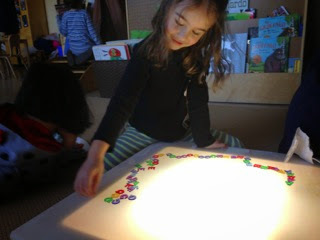 After lunch a group activity if offered: science, art, literacy, or math. 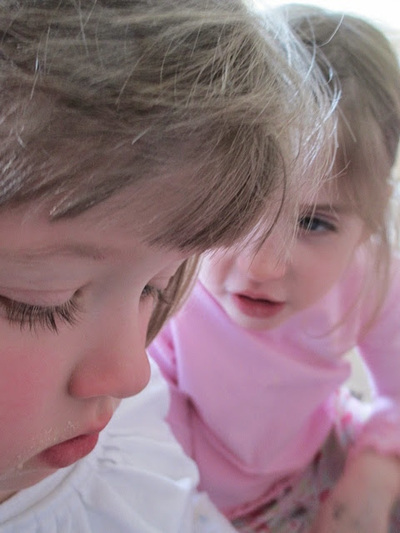 Stories before nap time are always a favorite. 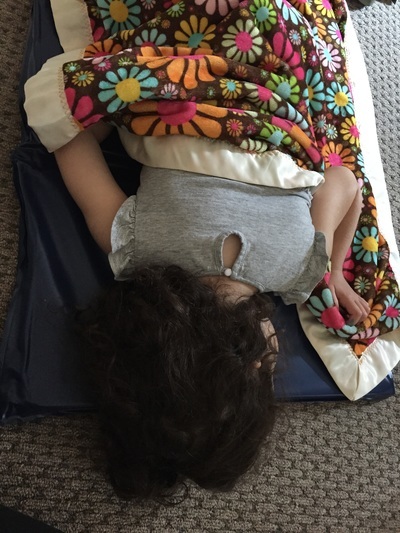 Nap time provides an important time for younger children to reenergize. 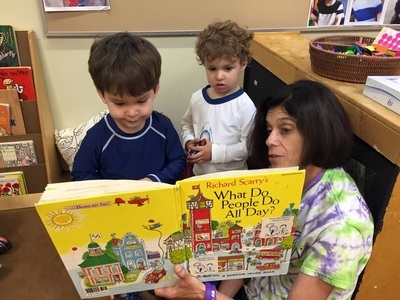 Older children who don't nap have a short quiet time to listen to soothing music, do a quiet activity, or read. 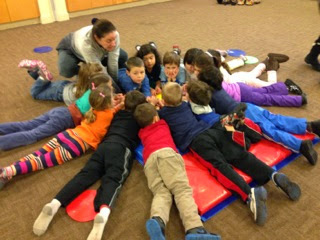 Children learn to take care of each other by working together to set up and clean up their blankets for nap time. 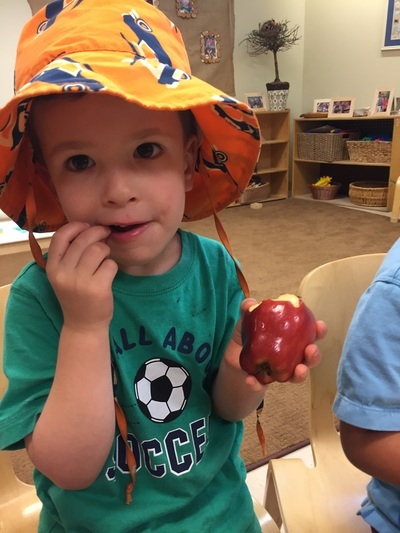 A healthy mid-afternoon snack such as crackers, cheese, fruit, vegetables, or pretzels is served after nap time. We know that children learn best in small groups and use that setting for songs, stories, and sharing with each other. Older children participate in creating and charting their daily routines. 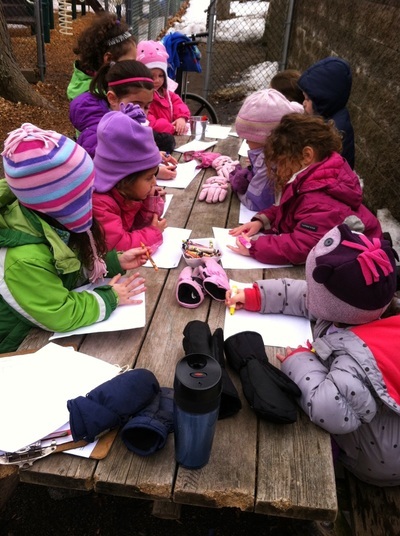 The learning extends outdoors where the entire grounds are an extension of our classroom. Active moments are balanced by opportunities to learn body awareness and self calming techniques. 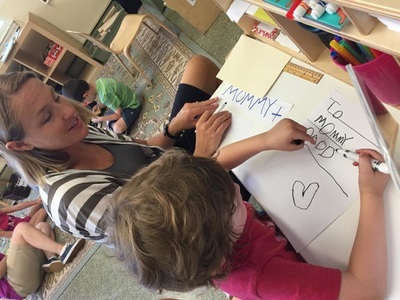 Writing, creating, and building is the focus of afternoon choice time. 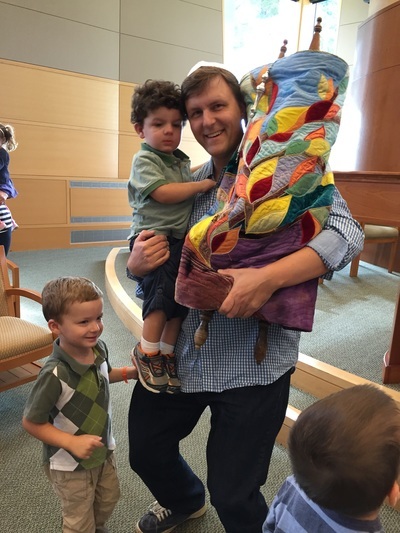 On Fridays the entire TBSCC gathers in the sanctuary for a joyful school-wide Shabbat celebration. The weekly experience supports your child in meeting God, celebrating Shabbat, entering the sanctuary, and becoming familiar with Jewish ritual. 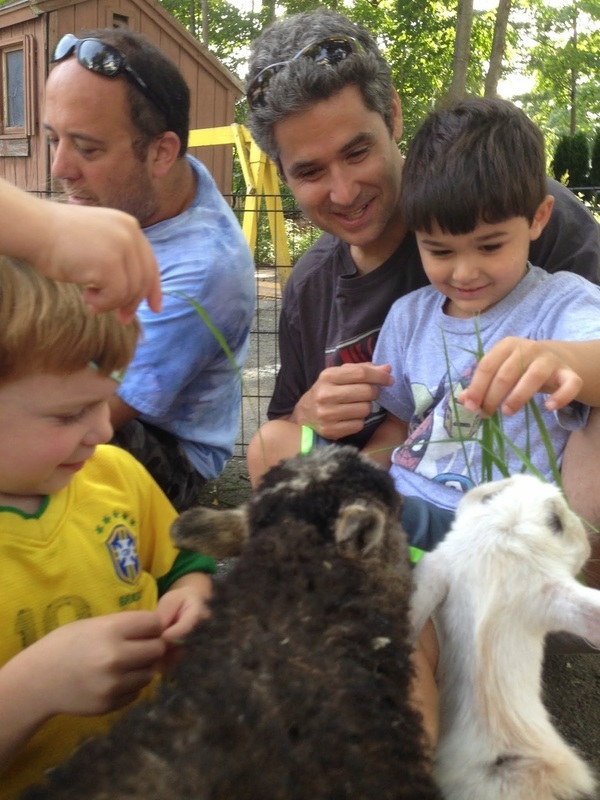 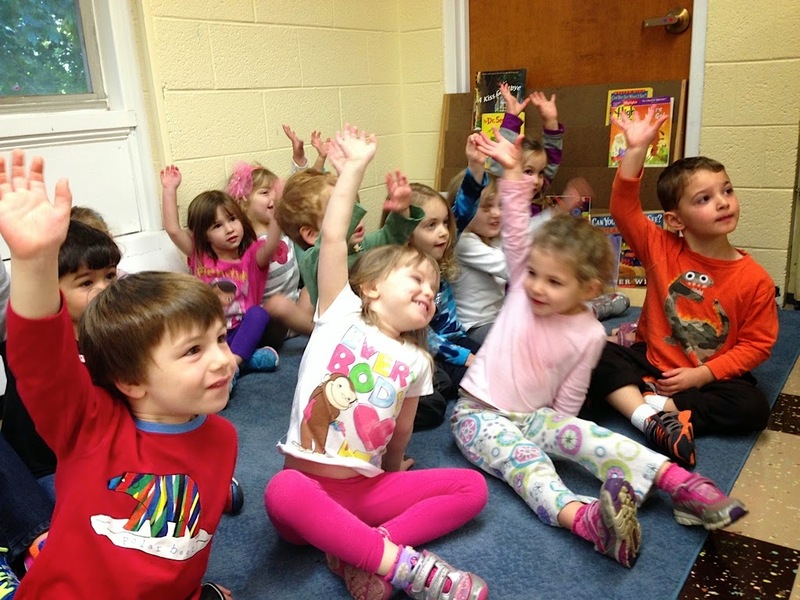 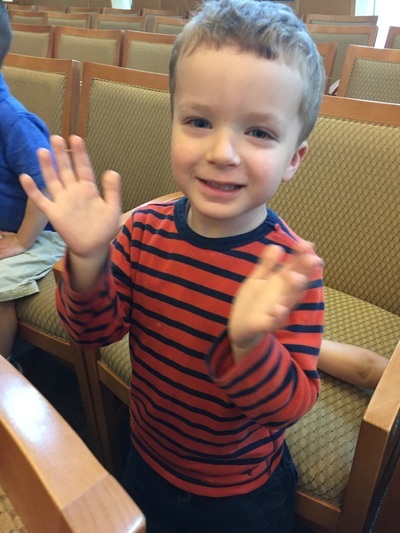 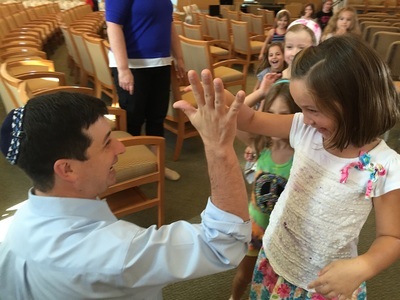 From Shabbat shalom high fives to visits to the classroom, our rabbis are an active part of the children's learning. 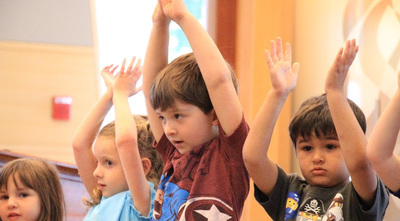 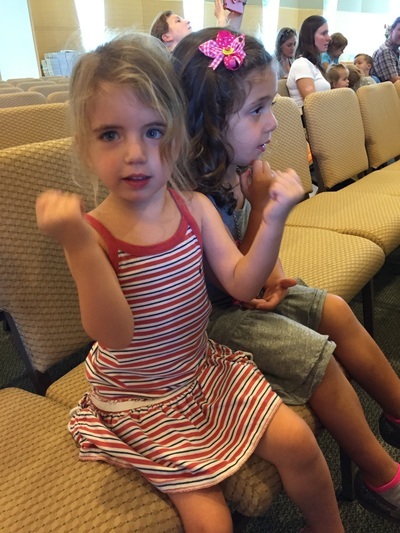 Adding hand motions and sign language to Hebrew prayers helps children learn and recite them. 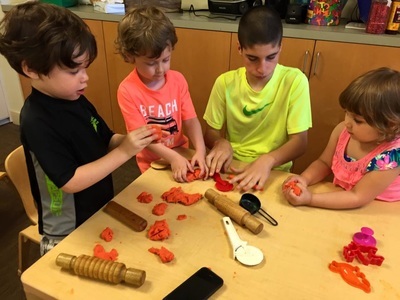 Hands on experiences are a focus of holiday learning. 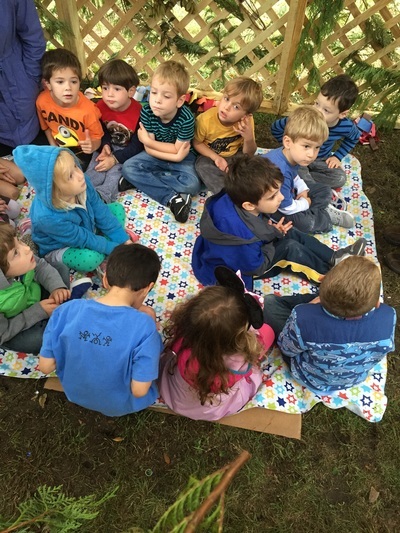 Each fall children decorate the sukkah, then return for snack and lunch in the space they have helped to create. Joyful singing is a part of every holiday celebration at TBSCC. 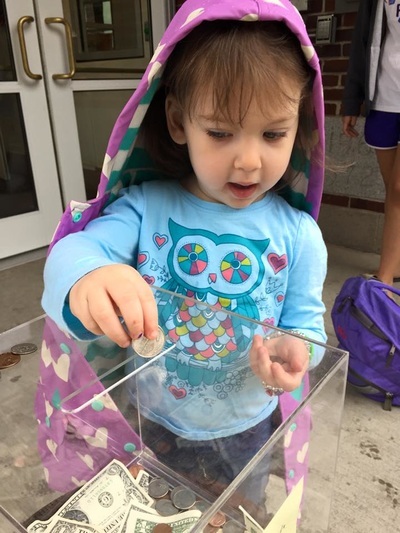 Weekly rituals such as giving tzedakah bookend our week. 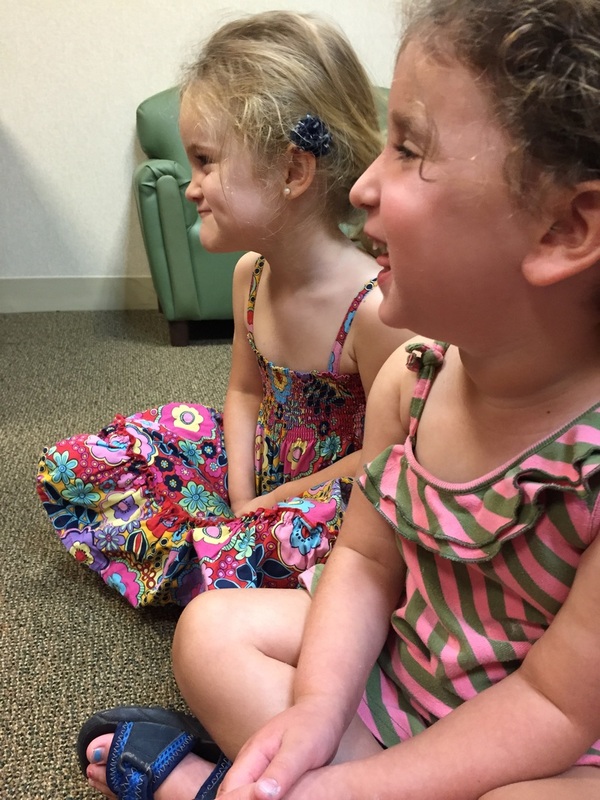 Friendships made during the school year are deepened in the summer months. 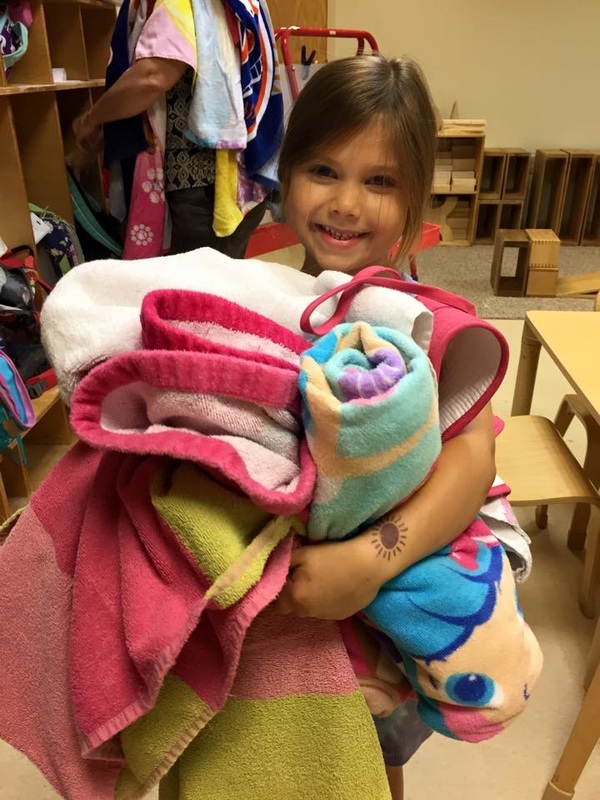 Children bring bathing suits and towels for daily water play. 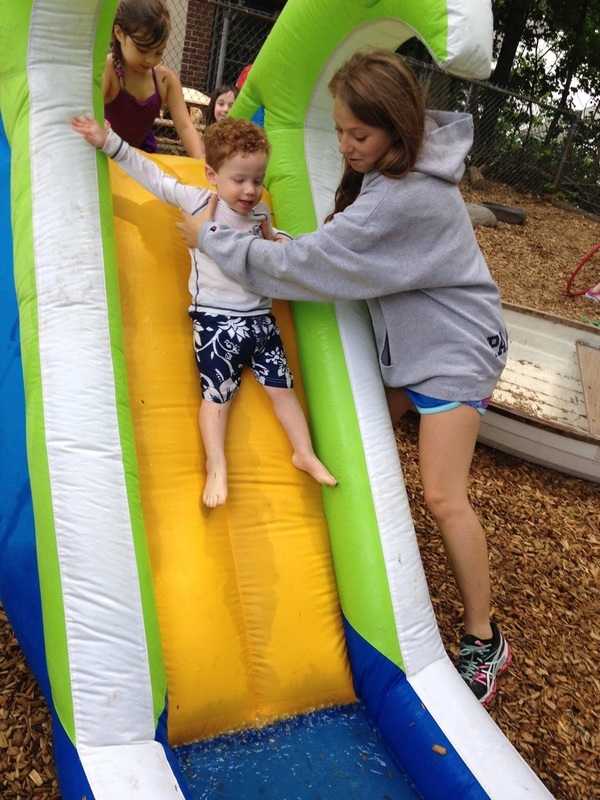 The waterslide is a special summertime treat! 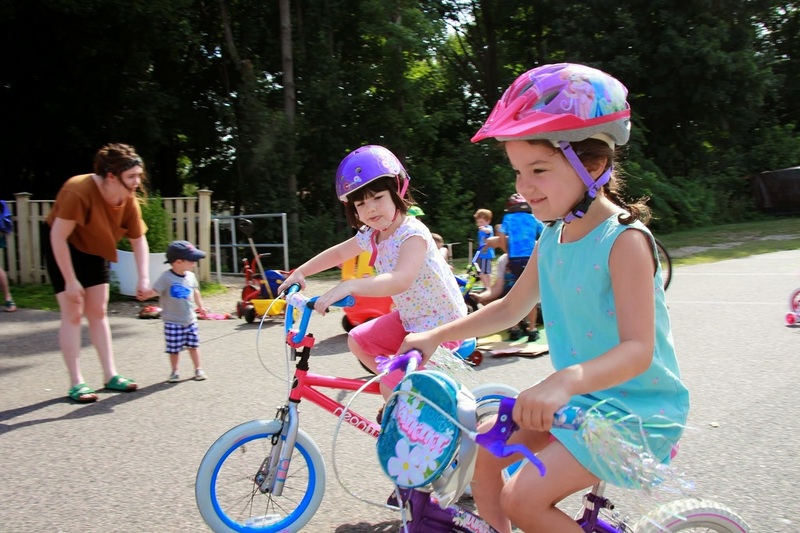 The summer weather also provides other types of outdoor learning. Our annual bike rodeo is a much anticipated TBSCC tradition. 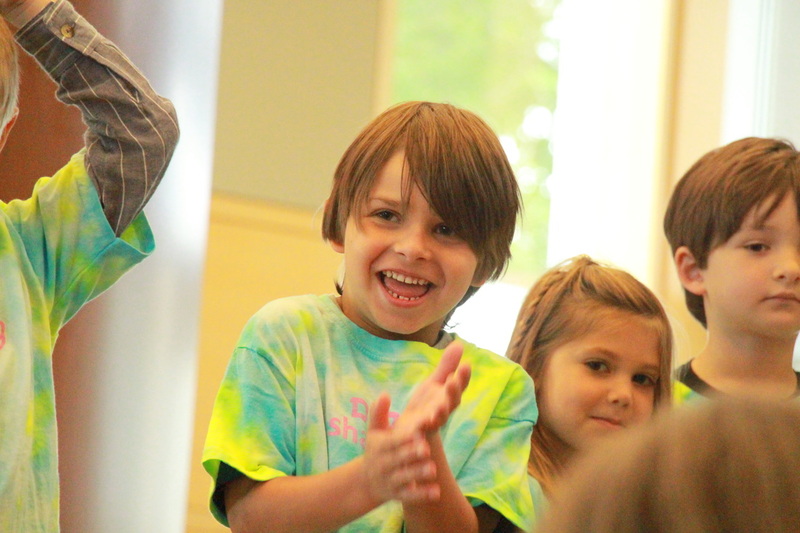 Our regular curriculum continues in the summer with literacy, math, art, and music remaining at the core. 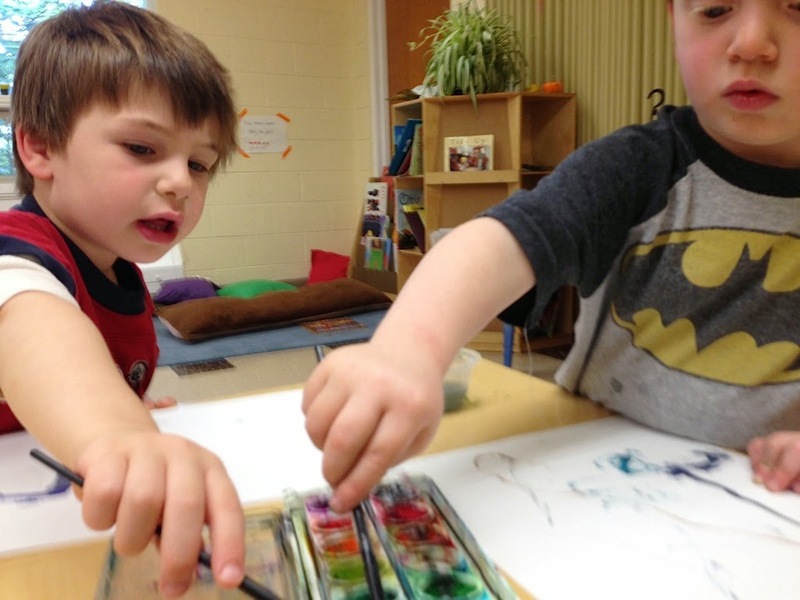 Literacy, math, art, and music remain at the core. High school and college students join as us summer counselors, becoming important role models for our children. 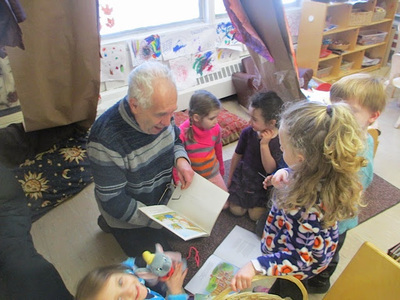 A birthday is a very special day in the life of a young child and we invite family members in to celebrate. Parents often volunteer to help organize special events. Families are invited to join us for our school wide Shabbat celebration each Friday. 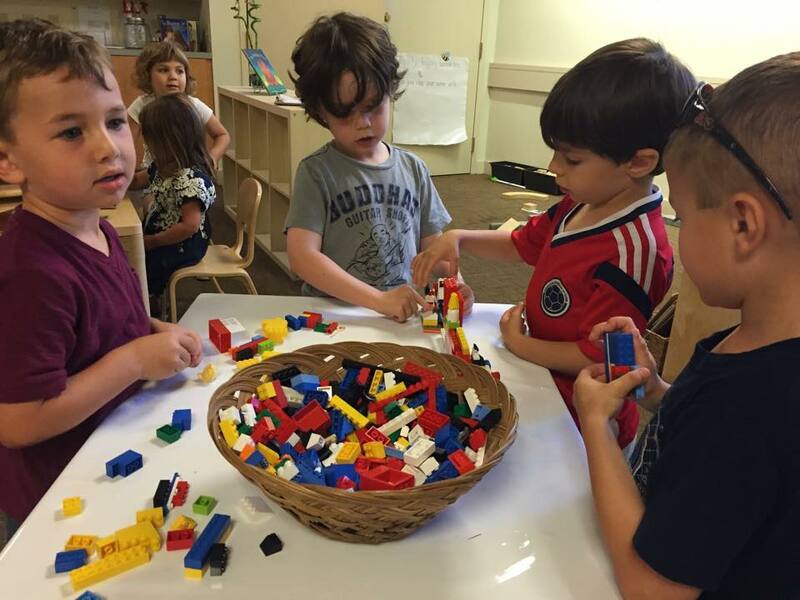 At TBSCC parents learn along with their children. 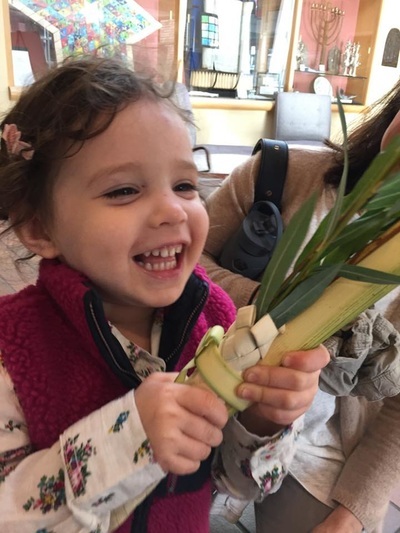 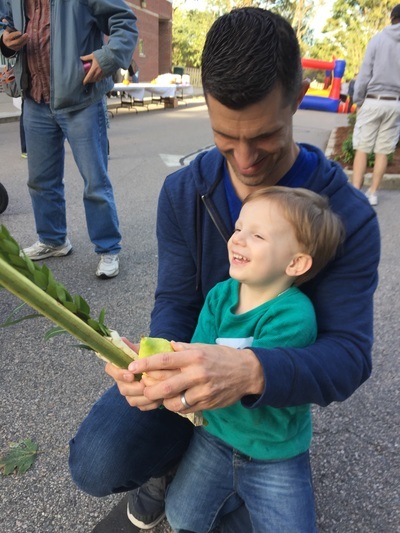 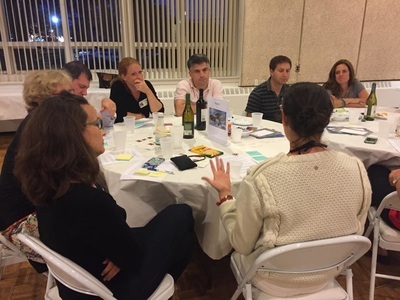 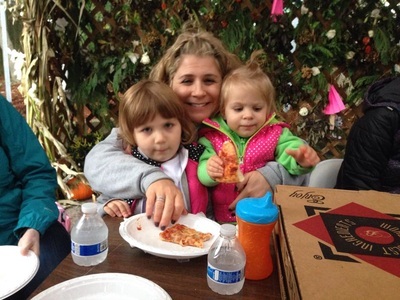 Holiday events like dinner in the sukkah allow children to share their school learning with their families. Get togethers are planned throughout the year as a way for school families to get to know each other. 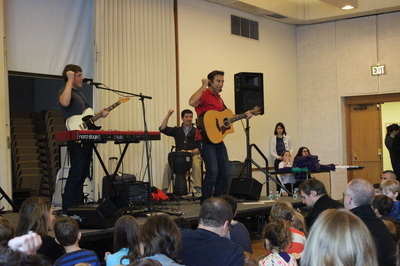 Large community wide events such as our annual family concert are fundraisers for our enrichment programs. We love visits from grandparents!